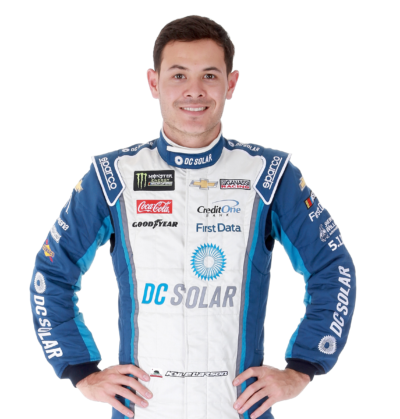 Kyle Larson did not win a single Monster Energy NASCAR Cup Series race in 2018. And considering the way the playoff system is structured in this form of racing, winning is essential for drivers and teams to assure themselves of a spot in the “post-season” and to advance from round to round once the playoffs have commenced. Because the Chip Ganassi Racing No. 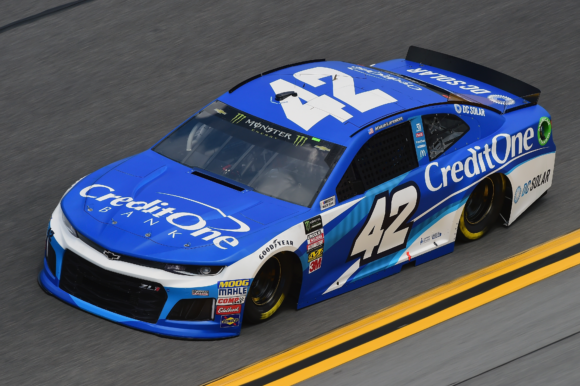 42 team failed to win a race during the season another key statistic might have been overlooked when poring over Larson’s final stat sheet at the end of 2018. That important stat would have been a significant lack of consistency. Looking at the finishing positions for Larson throughout the year reveals a pattern of low numbers followed by high numbers. Only once during the season did Larson mange to string together more than two consecutive top-10 results and that was a series of four straight beginning with the May race held at Dover International Speedway and culminating with the June race contested at Pocono Raceway. Other than that, there was never a stretch that extended beyond two races in which the CGR Chevrolet scored top-10 finishes. Larson landed outside the top-20 a total of seven times during the course of the campaign. Granted, a driver can qualify for the NASCAR Playoffs by winning just one race during the “regular season” then scoring mediocre finishes the rest of the way. But as Larson and CGR showed last year, inconsistency takes away chances to win races. The more a driver can run up front, obviously, the more chances he will have to win races. And more, should a driver make the playoffs, he better be capable of running near the front of the pack on a regular basis to give himself a chance to advance to the next round in the event that victory lane cannot be found within the round. It is not likely that an inconsistent team will outpoint the opposition with finishes outside the top-20 mixed in. Larson has ended the last three seasons in the 9th, 8th, and 9th positions in the final standings respectively. It was particularly disappointing for the team to not make the final race at Homestead-Miami Speedway in 2017 with a chance to claim the title after having won four races during that season. For the sake of comparison, eventual Monster Energy NASCAR Cup Series champion Joey Logano began 2018 by earning nine top-10s within the first ten races of the year. He then finished the campaign by compiling seven top-10 results over the course of the final eight events, including two wins during that stretch. Kyle Larson has shown himself to be a very talented race car driver and the Chip Ganassi Racing team has proven that they can put winning cars on the track. The goal for the No. 42 operation going into this season has to be finding more consistency on a weekly basis. Doing that would almost certainly make them championship contenders.